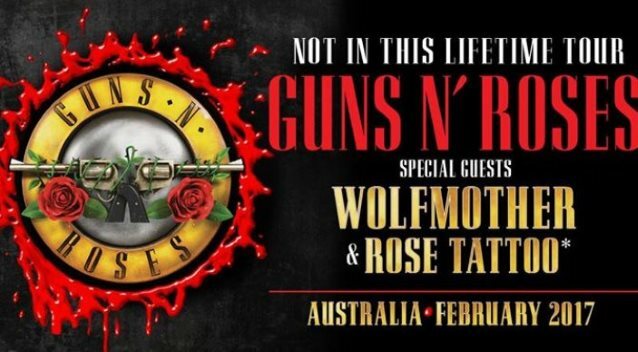 Homegrown rock icons WOLFMOTHER and ROSE TATTOO will support GUNS N' ROSES on the Australian leg of the "Not In This Lifetime" tour. The trek will kick off in Brisbane and make its way through the major cities across the nation. The Angry Anderson-led ROSE TATTOO, which previously supported GN'R on their infamous 1993 "Use Your Illusion" tour in Australia, are set to open the shows in Brisbane and Sydney. ROSE TATTOO's classic 1978 song "Nice Boys" was covered by GUNS N' ROSES on their 1988 "Lies" album. 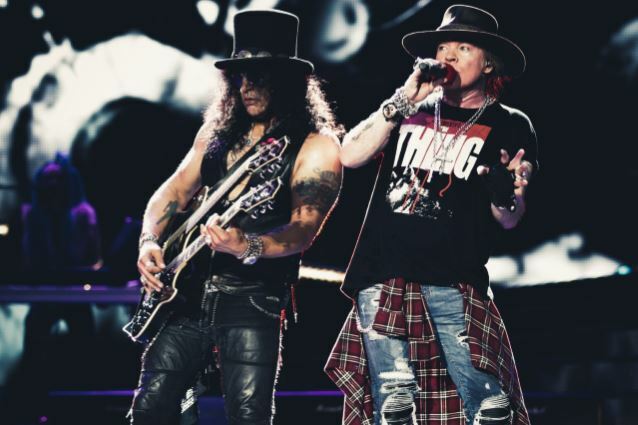 The "Not In This Lifetime" tour features three members of the classic GUNS N' ROSES lineup — singer Axl Rose, guitarist Slash and bassist Duff McKagan — backed by drummer Frank Ferrer, guitarist Richard Fortus, and keyboardists Dizzy Reed and Melissa Reese.